I was pleasantly surprised when I rented this direct to video release. I didn't have a high expectation because most direct to DVD movies aren't great. Actually even the theatrically released films are usually a disappointment. 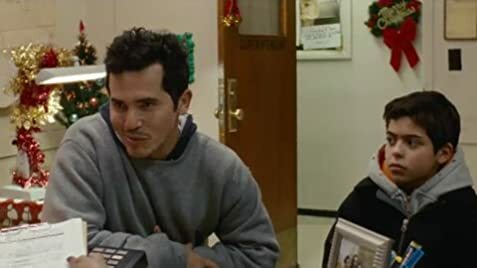 John Leguizamo's performance was excellent as well as the rest of the cast. The little boy was great. It was very well written and directed. Everyone who worked on this should be very proud. The ending left me a little disappointed. It would have been nice to get a warm and fuzzy ending but still a great movie worth watching. It's nice to see a quality film that tells a story, has a message and actually develops characters that you care about. John did a great job making us believe in his character and forgetting we were watching an actor.